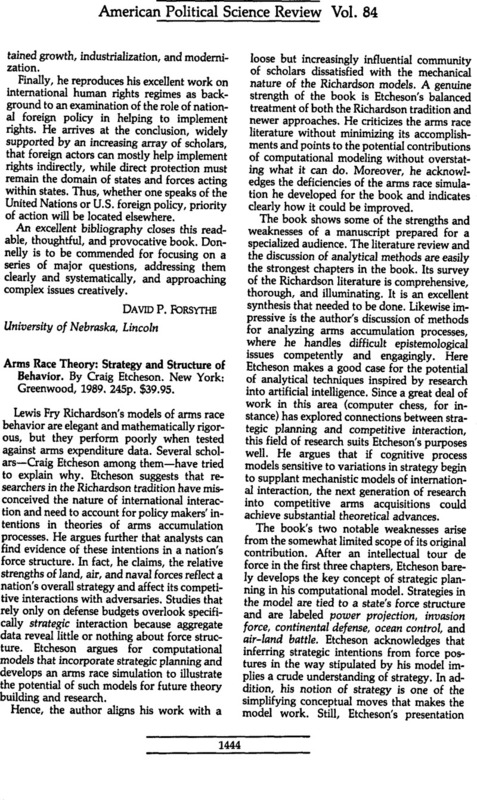 Arms Race Theory: Strategy and Structure of Behavior. By Craig Etcheson. New York: Greenwood, 1989. 245p. $39.95.